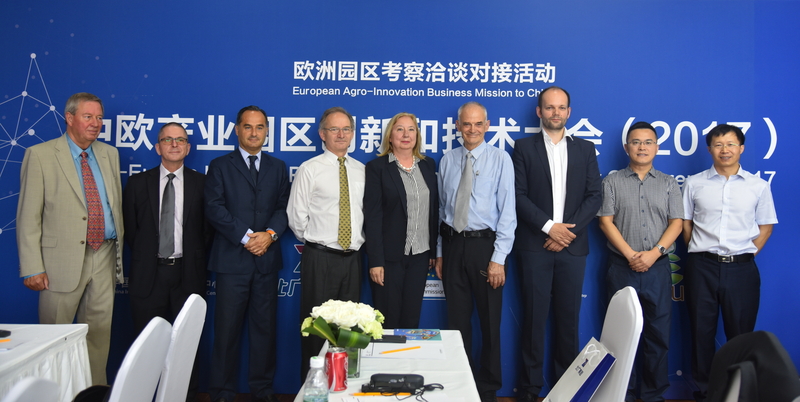 From June 15 to 18, a European business delegation and members of the Natureef Consortium led by FEMAC visited several Chinese cities to establish collaborative arrangements in the field of efficient management of natural resources. 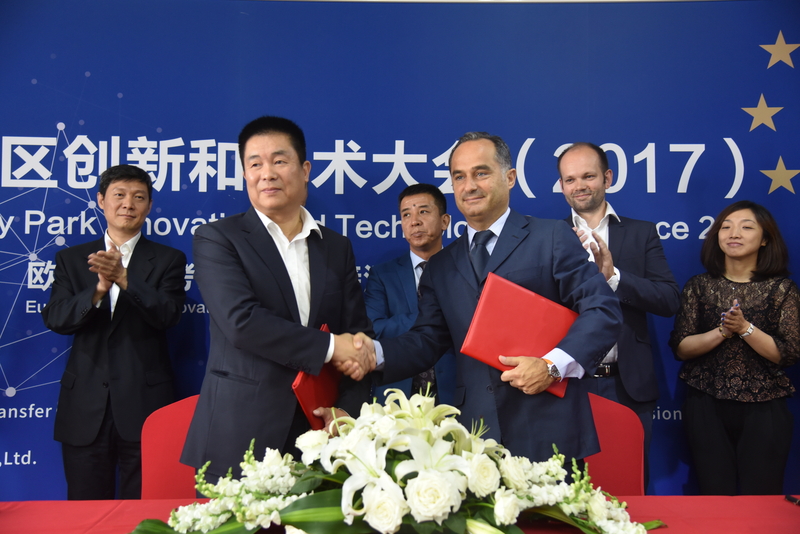 In Beijing, Enrique Pedrós, representing the Natureef Consortium, signed three collaboration agreements, one of which was signed with China International Technology Transfer Center, which was held to establish a representation of Natureef in China; Another of the agreements was with China High-Tech Industrialization Association Space Engineering Breeding Alliance, this seeks to increase the knowledge base, to contribute and to help both countries in their pursuit of the development of agricultural technology for the citizens; And the latest of the agreements with the Beijing BBEF Electronics Group Co. Ltd., which will seek to improve technological capabilities and the development of cross-cutting technological parks and projects, specifically between agriculture and natural resources, will improve the base Of knowledge, and will help the two countries develop green and clean technologies. The Natureef delegation was made up of companies from agricultural sectors and related to technologies in the efficient use of natural resources. On behalf of Denmark, it was represented by Mr. Claves Mortensen, Project Manager of the INBIOM Cluster, and by Bulgaria, the GREEN SYNERGY Cluster, was chaired by Ms. Liyana Adzharova. Through this initiative of work between Natureef and Chinese companies is intended to design mechanisms to collaborate across sectors, globally, between clusters and businesses in the field of agriculture and efficient use and protection of natural resources. In addition, the Natureef project also seeks to connect China and Europe to achieve exchanges of technologies, business opportunities, market access and the development of environmental policies. For Europeef, access will be made to China’s market and internationalization of European SMEs using the dissemination of the innovative technologies available to them. On the Chinese side, it will provide opportunities for Chinese industry, research and policy to work with Europe to formulate new procedures for using and protecting China’s increasingly depleted natural resources. The following steps are currently being planned and will focus on joint projects under the auspices of Natureef China, which is planned to be set up in the Huai’an area, thanks to partnerships between Natureef, Huai’an Township and International Technology Transfer Center of China.